To encourage this sort of work-related resolution, I have developed a simple six-part “Power Plan” designed to help people make the most of their job and career in 2018. A comprehensive internal audit combines an individual’s personal values, a list of adjectives outlining their “ideal employer,” and a “perfect job description” that you write for yourself. Then act on your preferences, and make the changes necessary to bring these criteria into your career! Every job seeker needs the core elements of an exceptional self-marketing portfolio. These include written accomplishment stories, positioning statement and departure statement, professional biography, list of references, testimonial comments, letters of recommendation, and of course your resume! Develop a networking contact list and networking meeting agenda, and request help (access to a broader network and professional guidance – not a request for a job). 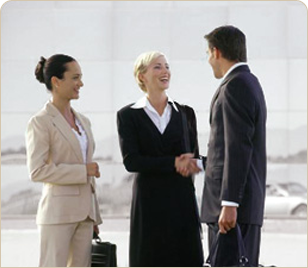 Schedule one-on-one networking meetings with “centers of influence,” and attend group networking events. Become a committed collector of professional contacts! As a job seeker, you need to tell the interviewer accurate, relevant accomplishment stories about your job performance and how you add value. The interviewer needs to share the story of their company, describe the position in question, and explain specifically how they want you to fit into their organization. When you can skillfully align your strengths and experiences with the interviewer’s needs and problems, you will dramatically improve your odds of getting an offer! Compensation is always negotiable. Perform extensive salary research and defer salary discussions until an offer seems imminent. Discuss compensation only with the person who has the authority to make a hiring decision and negotiate the pay package. Commit to mastering the “negotiation game” – a game that can actually be enjoyable as well as financially rewarding! It’s not enough to “just do your job.” You also need consistently manage your career! Keep all your success documents up to date. Put time aside every week for active networking. Research and be aware of the competition. Always offer to help people in your network. Take leadership positions in professional associations. Consistently build your visibility and credibility through writing and speaking. Pursue additional education, training and certification when possible. Career management never stops! In this improved job market, many people are moving up in their organizations, finding excellent jobs and developing wonderful, new careers. Those who are achieving success know how to “play the game” and are fully prepared for every step of the process. Almost anyone can find career success in 2018 by executing the six-step “Power Plan” outlined above. How committed are you, and how strong is your New Year’s career resolution?